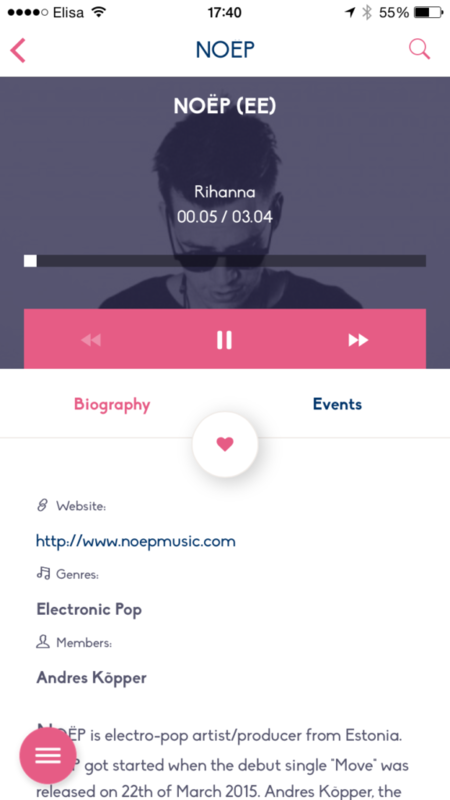 Find everything fast and handily from one source. 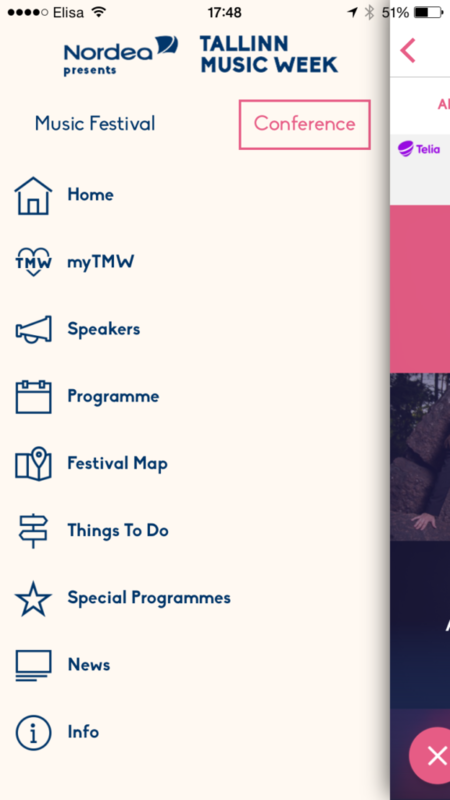 The Tallinn Music Week event app helped festival goers on-the-go with useful features and guidance. 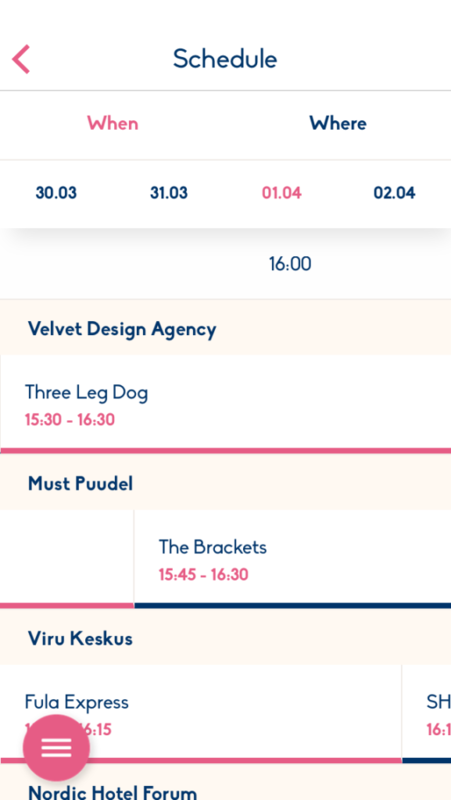 It provided a wealth of festival information so visitors could navigate between the festival venues in Tallinn and stay up-to-date with the event info in real time. 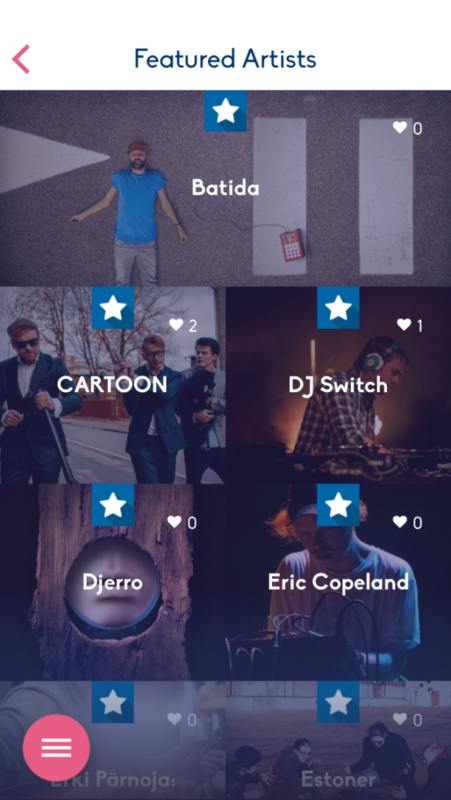 Visitors could personalise the app with their preferences by creating their own schedule, bookmarking artists and venues so they didn’t miss any of their favorites. 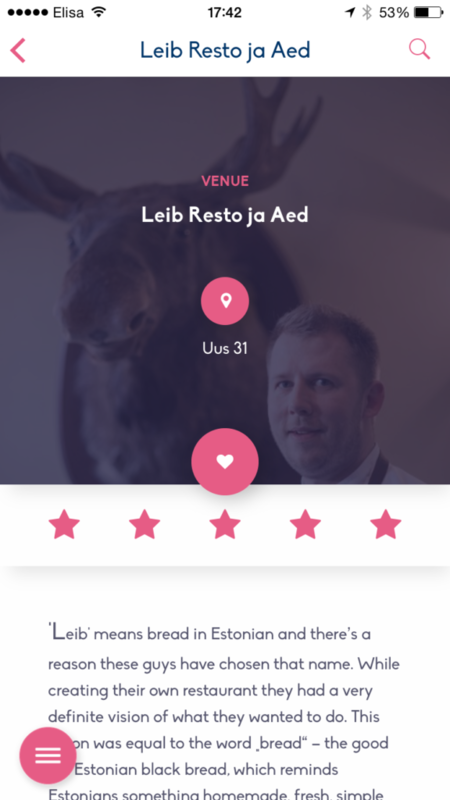 Extra benefits for logged in conference delegates include interactive engagement in conference sessions, the ability to browse delegate profiles, bookmark delegates for networking, see who´s around and start useful conversations via in-app messaging. 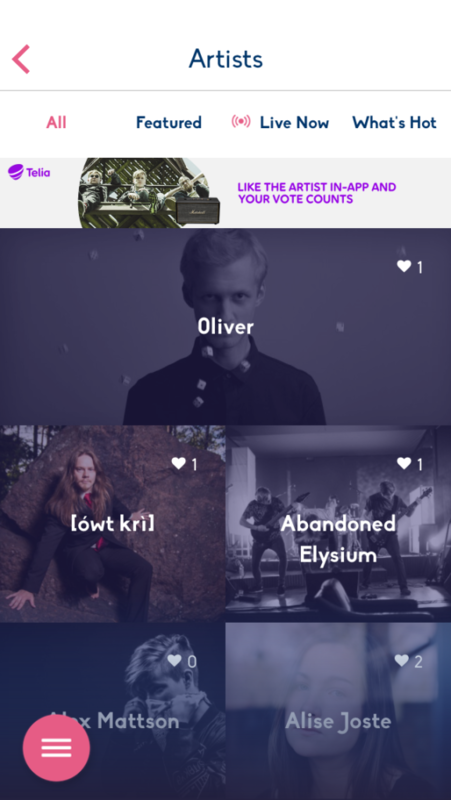 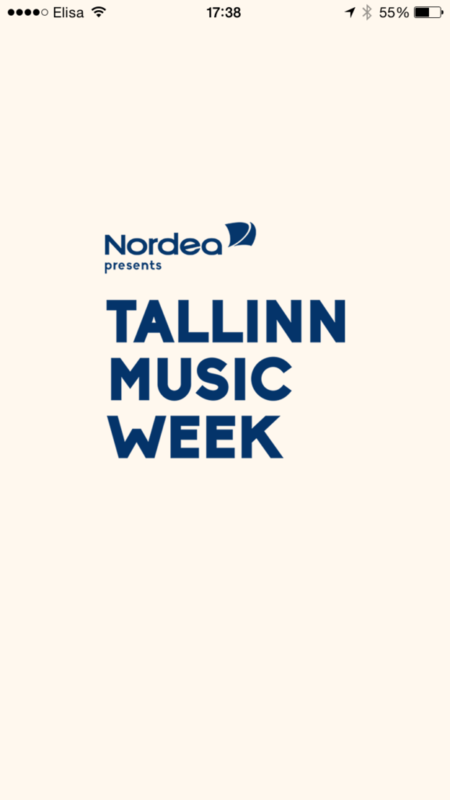 Tallinn Music Week is among the first festivals in the world to try out mCommerce and secure mPayments solutions at live events via an event app. 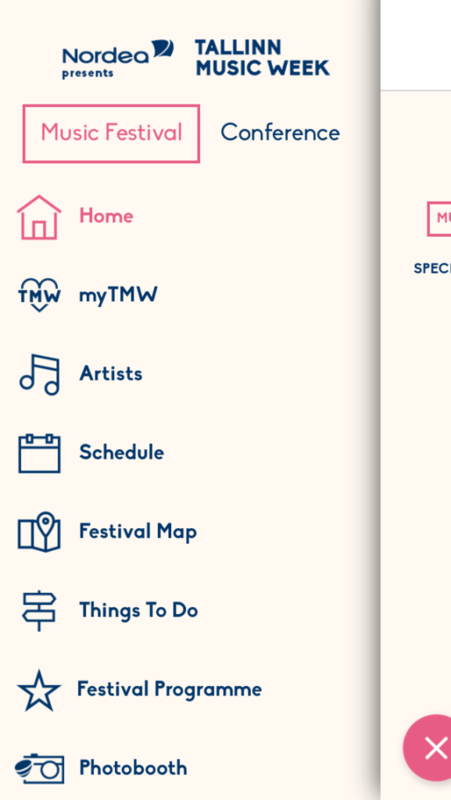 For instance, the user can buy festival passes into the phone with a one-click mobile payment or pre-order TMW Tastes programme restaurants’ special menus while booking a table for a wished date and time straight from the app. 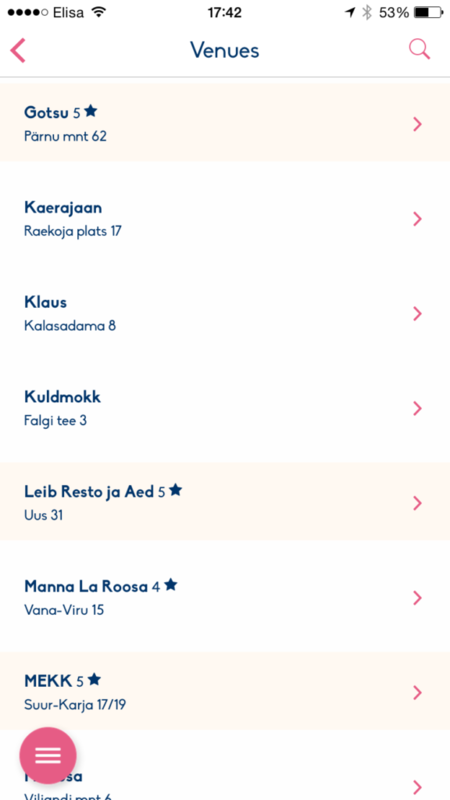 We added extra innovation with the Festivality analytics platform by installing unique venue attendance sensors into 50+ concert venues. 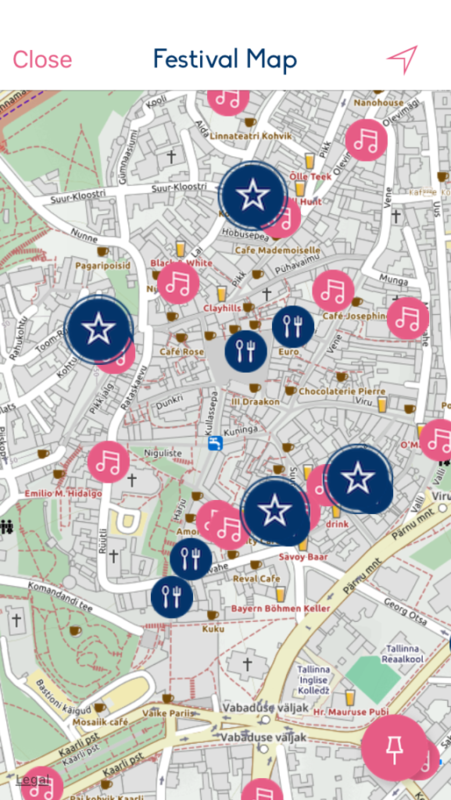 This helped the festival team understand venue activity in realtime over our cloud-powered analytics web front. 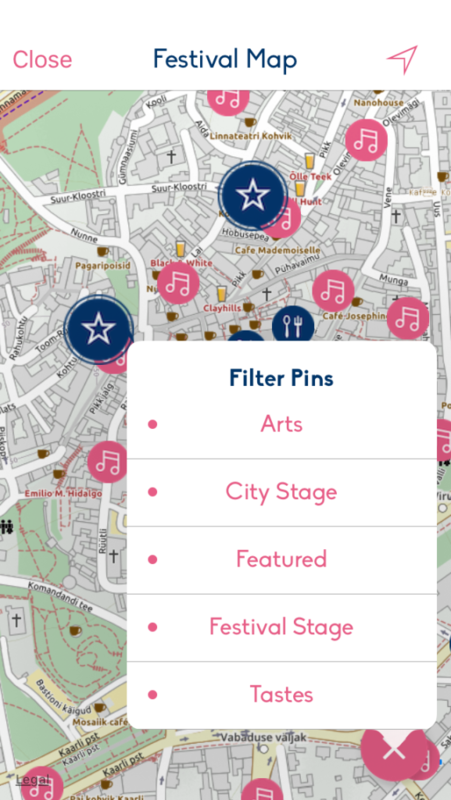 This enabled the delivery of real-time proactive communication about overcrowded and trending venues and venue capacity alerts for event app users, while also promoting underperforming and less crowded venues. 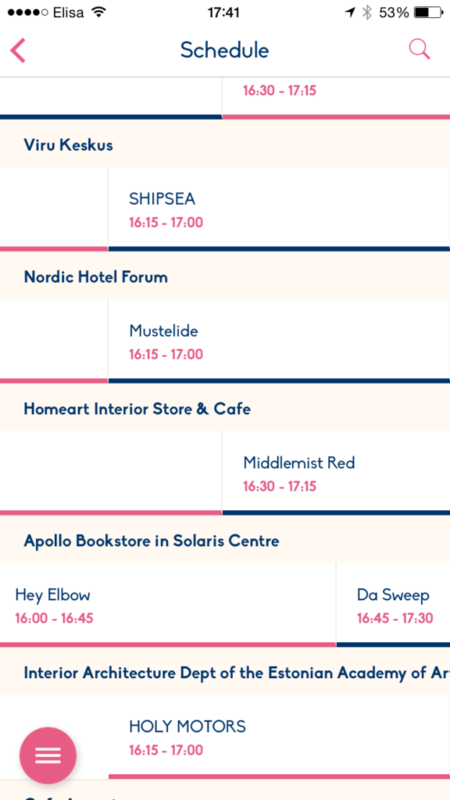 TMW is one of Europe’s leading city festivals with a carefully crafted line-up of various art forms for a curious mind.  It is a celebration of creativity, curiosity, freedom and equality and one of the major meeting points for Eastern, Western and Central European music and creative communities. 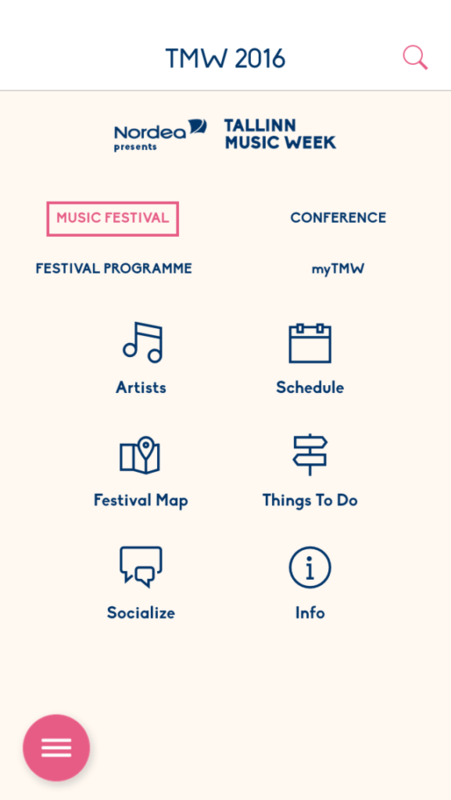 TMW started out in 2009 as a showcase festival and conference for international music-industry players and emerging regional acts.